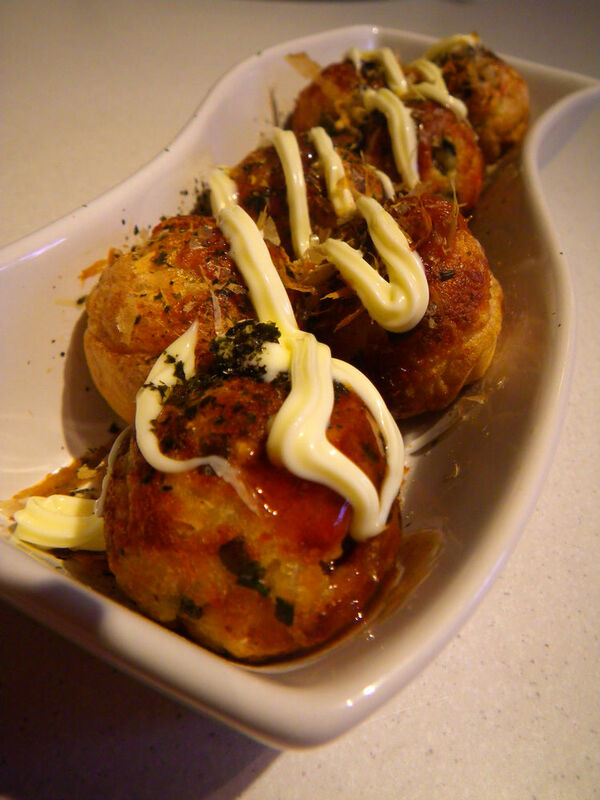 Ever fancy about those delicious and finger licking takoyaki from a Japanese restaurant? Then, I recommend you to continue reading the following and I am sure you can make the same end product. 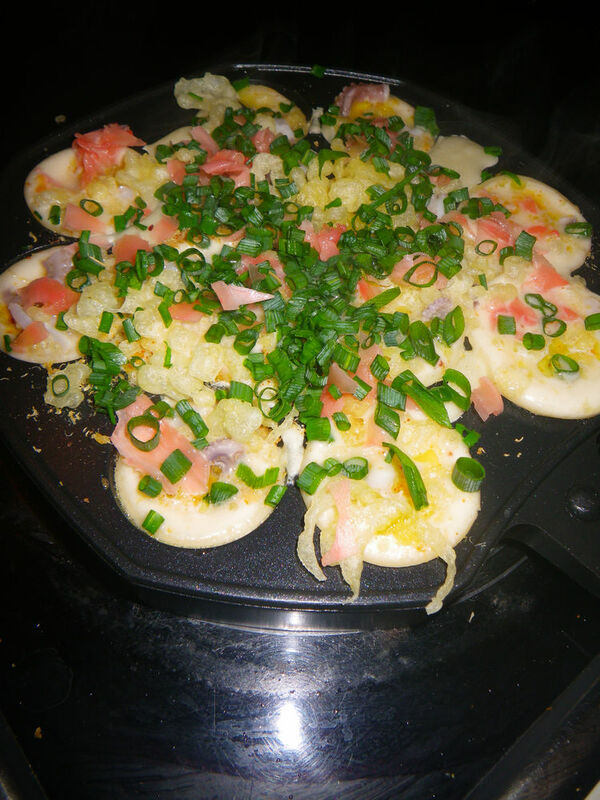 Takoyaki is a ball-shaped Japanese snack made of a wheat flour-based batter and cooked in a special takoyaki pan. In 1935, a street food vendor Tomekichi Endo, established and invented this famous balls in Osaka and it then went popular across Japan. 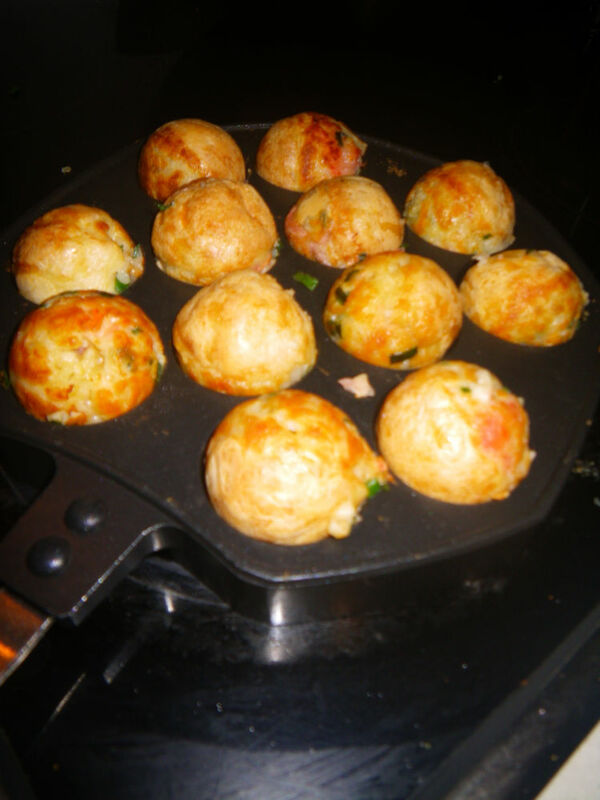 Btw, some people believes that using specially made takoyaki flour is the key to success in this dish, but if you follow my recipe, you can make the same delicious takoyaki using normal flour. I made 100 takoyaki balls with half a kilo baby octopus. Yum! 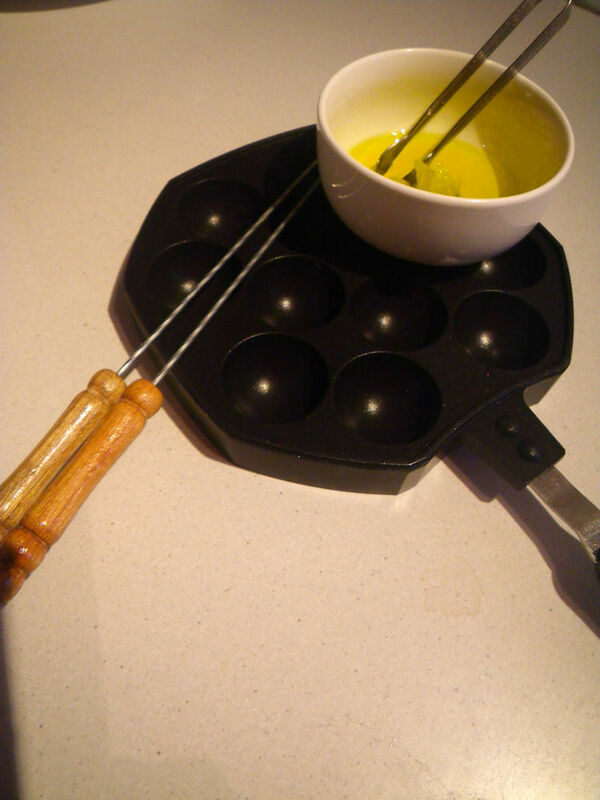 Before starting on to preparation, you need a Takoyaki pan and two sticks to shape the balls. You will also need olive oil to brush the pan. Note* For the filling, it’s really not important how much you add. People can add more or less according to their preference. 1. Boil the baby octopus in water and white wine until cooked thoroughly. Drain the water and cut into pieces. 2. Mix the ingredients in the “The batter for tempura scraps” section well. 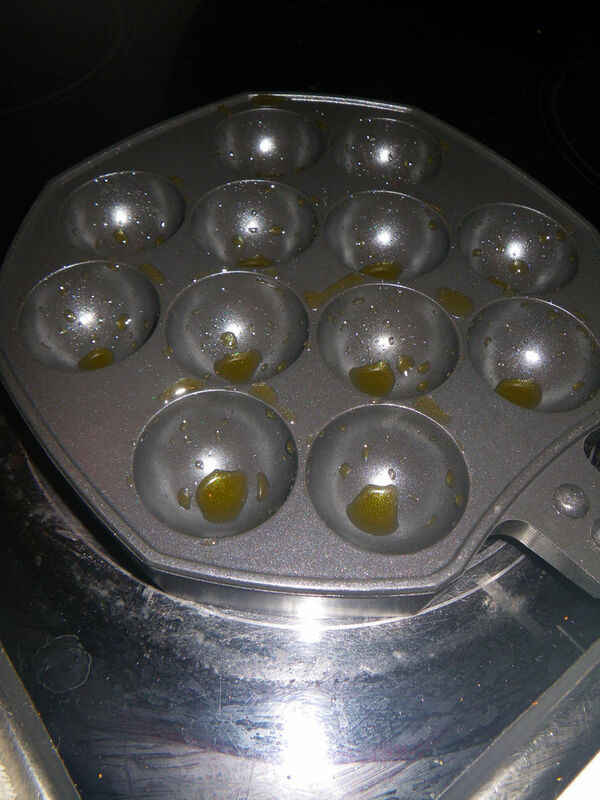 Preheat the oil on high temp. and use a fork to tip the batter into the fryer drop by drop and fry for 1 minute. Take the tempura scraps out and drain. 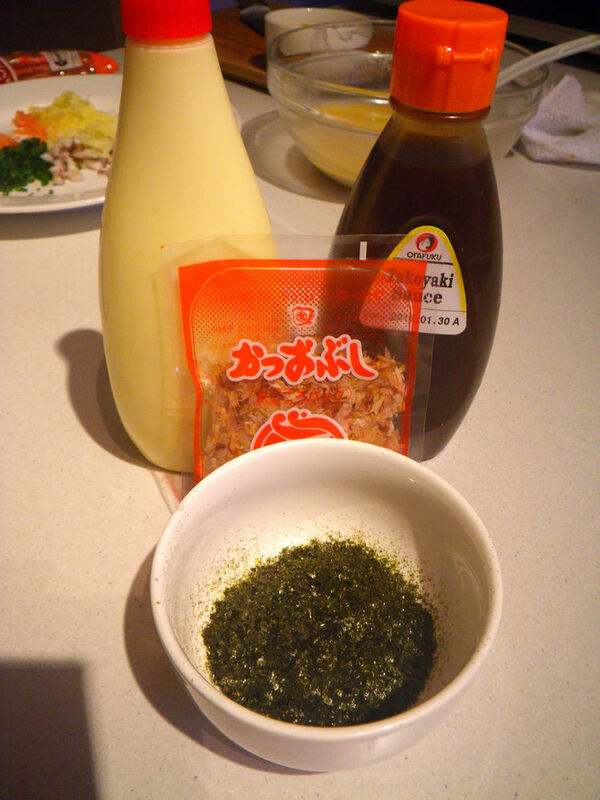 Now the ingredients for filling the takoyaki is ready, as shown in the photo below. The tempura scrap is also called tenkasu, which can also be used in udon and soba dishes. 3. 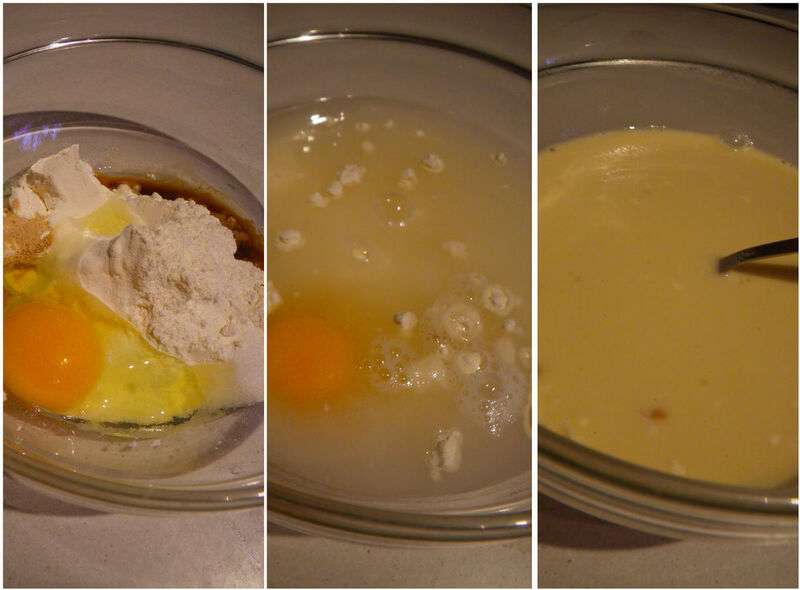 Mix the ingredients in “The batter for takoyaki” section well until smooth, as shown below. 4. Heat the takoyaki pan on stove and use a paper towel, dipped with oil, to wet the takoyaki pan evenly. Wait until you can feel the heat above the pan. 5. 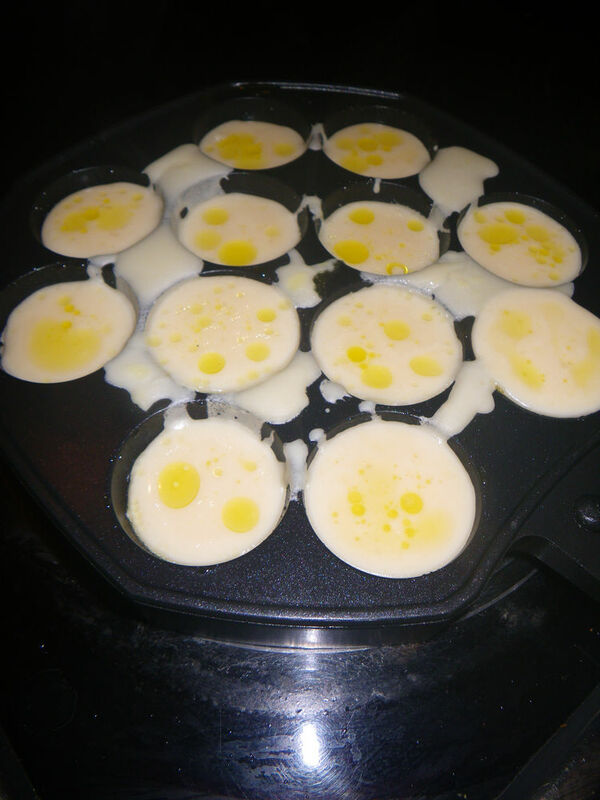 Place the batter in step 3 into each hole on the pan, filling 85% of the hole. Doesn’t matter if you spill some outside the hole because they will be wrapped into the ball later on. Turn the heat to medium. 6. Sprinkle some bonito powder to each hole. Again, doesn’t matter how much you put in. 7. 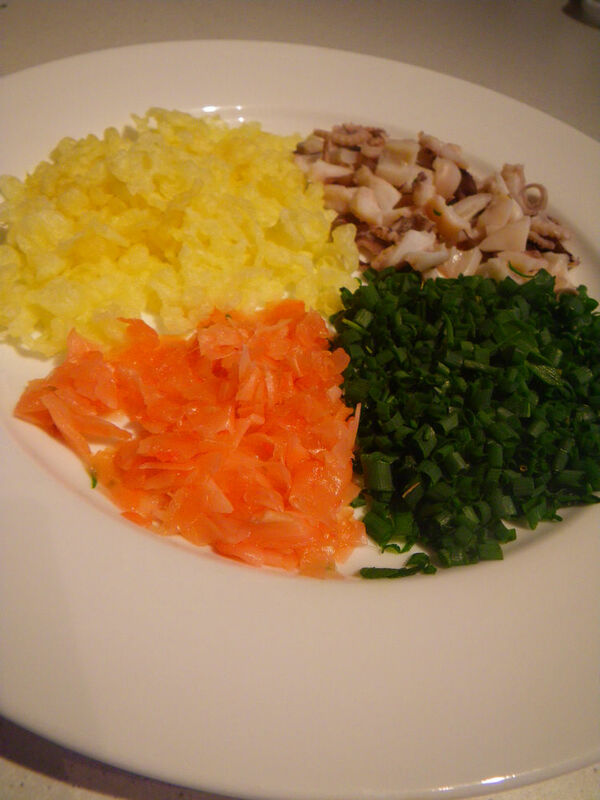 Add the rest of the fillings into and/or on top of each hole, as shown below, in the order of baby octopus pieces, tempura scraps, pickled ginger and spring onion. 8. Cover the pan with more batters made in step 3. 9. Until you can smell the good smokiness on nose, use the two sticks, or any bamboo sticks, turn the batters into half ball and make sure you squeeze all surroundings of each hole fully into it. Now, do the same until all batters are eventually cooked by turning the ball several times until all outside is golden color and crispy. 10. 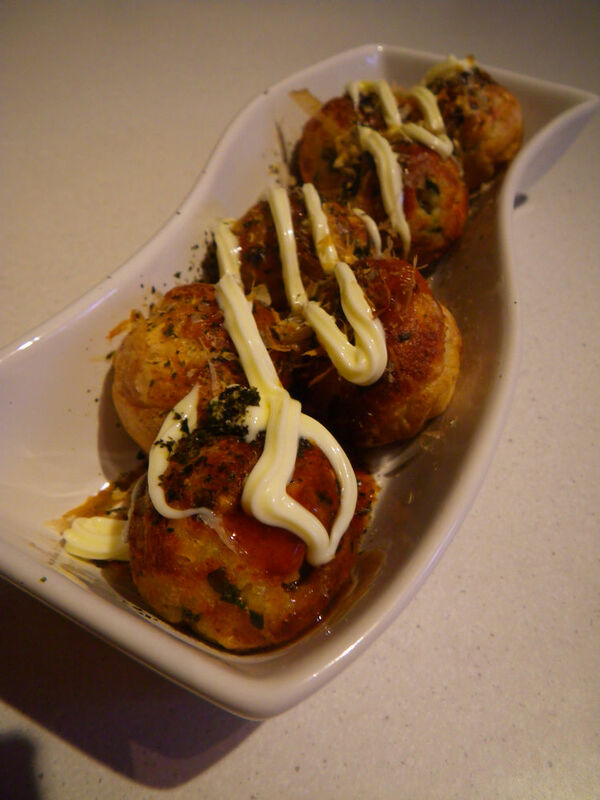 Now the takoyaki balls are ready to serve. Takoyaki balls are best served with kombu powder but if you don’t have kombu powder, you can blend your nori sheet (seaweed sheet for sushi) into powder. 11. Plating up the takoyaki balls, top with a layer of takoyaki sauce. Sprinkle a layer of kombu powder/nori powder and top with bonito pieces. The final touch is to spread the balls with Kewpie Japanese Mayo. You are ready to serve. The takoyaki is of great complexity of flavours in a combination of seafood, tempura, pickled ginger and dried fish and prawn. 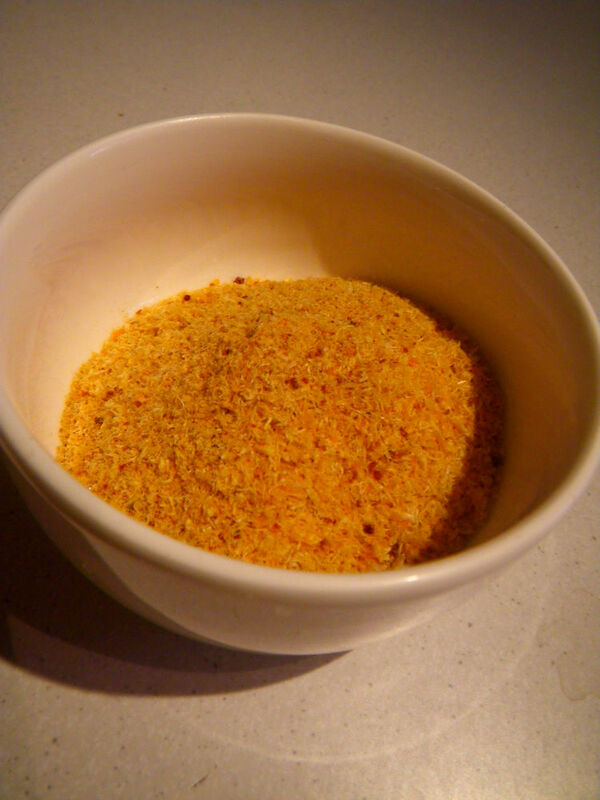 The sauce itself added sweetness and the kombu powder introduced introduced more seafood flavour. The bonito pieces enhanced the mouth feel and had this melt-in-your-mouth sensation. The final touch of Japanese mayo helped to promote these flavours while added some creaminess into the dish. Yummo and enjoy! In the next post, I’ll talk about how to make two of my loved sushi types, uramaki and gunkanmaki, which are both easy to make. Stay tuned! – Yummy takoyaki! 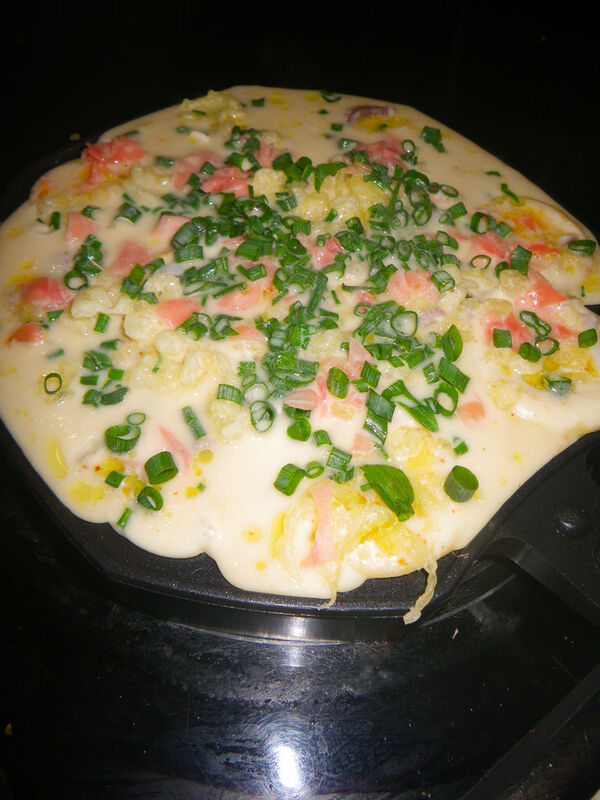 Where did you get the takoyaki pan from? 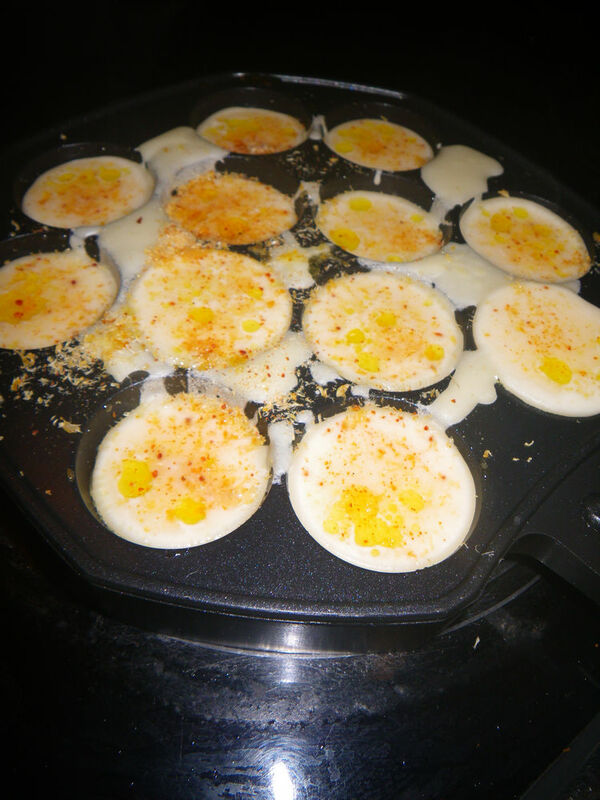 – I explored your recipe and other category pages. Superb! 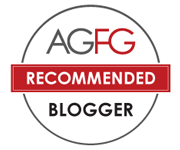 Your blog looks so~ professional and perfect for the theme of articles you post here. Amazing! I’ve tried them in Melbourne and oh man, they are so delicious! Where did you get the pan from? Thanks Jason! I got the pan from overseas. I think they have some available on ebay as well. Hi Lorraine! Yes, you should find one. I think there are many of these in NSW or online. Might have to source one of those pans (will update if I find within Australia) and based on your recipe and photos, I could go for some now too! On ebay, there are plenty from Hongkong, China and Japan. When you buy one, try to avoid the electric one cos it does not give even heating. Let me know how you go with these little balls. I saw these made at the Japanese representative’s house in Senegal. They were delicious and yours look wonderful! Would love to give this recipe a go. I’m having a bit of trouble sourcing some ingrediants though. Can i ask where you got your takoyaki sauce and dashi from?